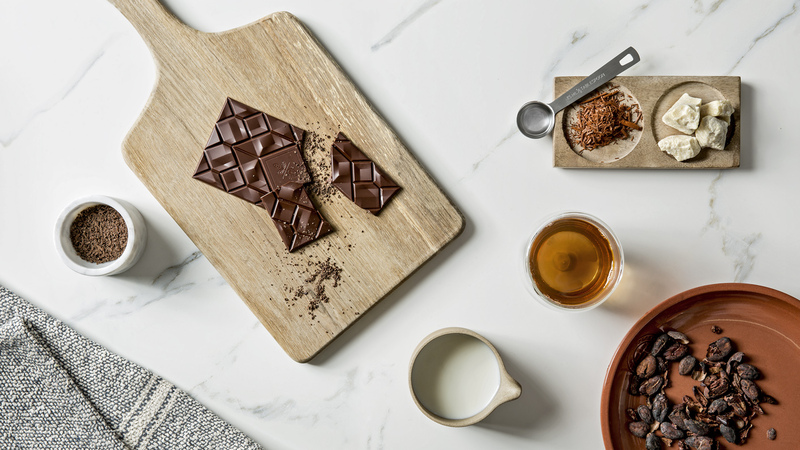 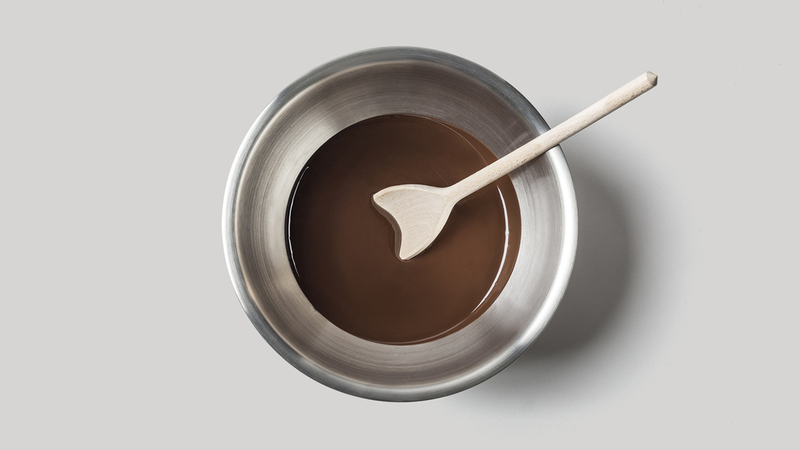 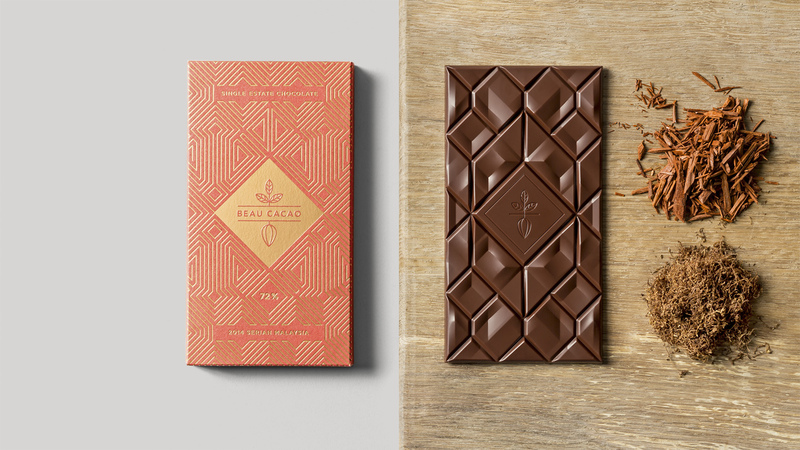 Founded by Bo San Cheung and Thomas Delcour in 2013, Beau Cacao is a London-based chocolate company bringing an exciting new twist to the burgeoning bean-to-bar chocolate scene by sourcing single estate cacao beans directly from growers in Malaysia. 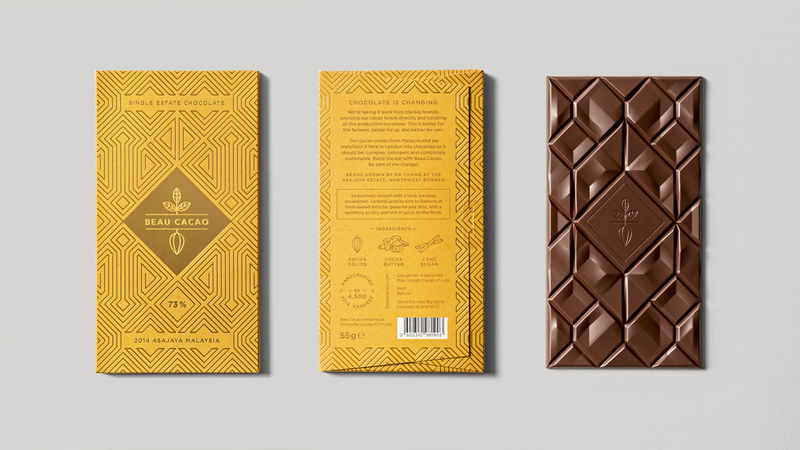 Socio Design were invited to design the packaging for their first two bars, Asajaya and Serian. 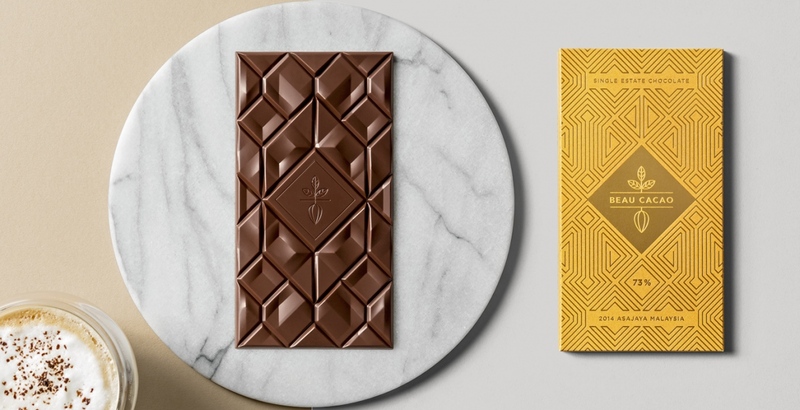 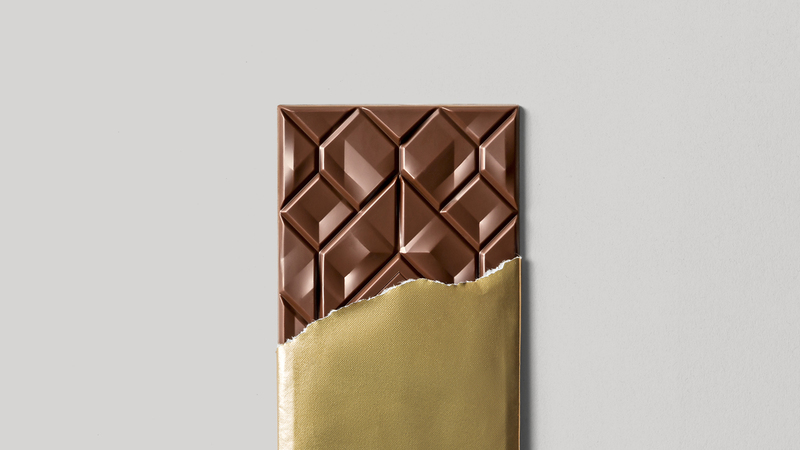 Our geometric gold foiled pattern was inspired by traditional Malaysian fabric designs, and reflects the distinctive moulded shape of the chocolate within. 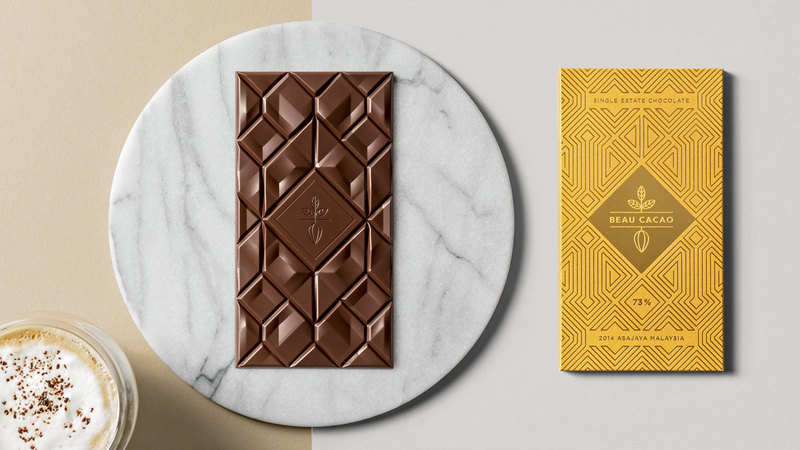 Paper colours were chosen based on the flavour profiles of the chocolate, red to match smoky tobacco and paprika and yellow for caramel and brioche. 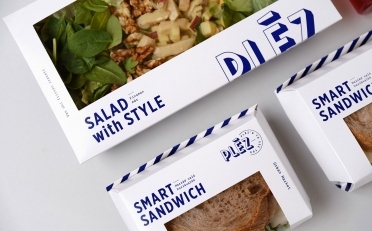 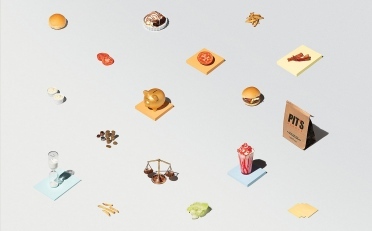 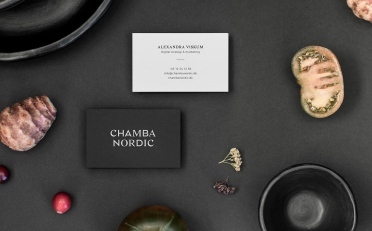 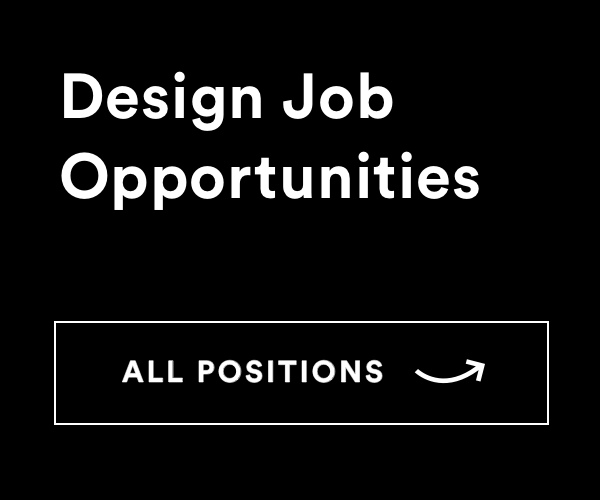 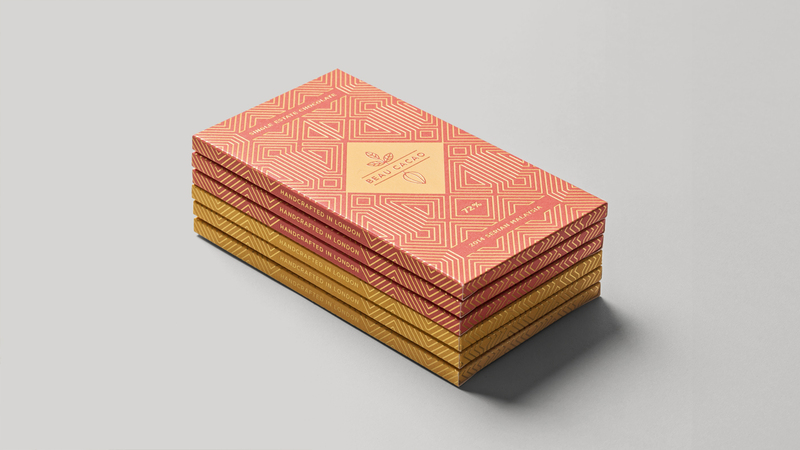 This system of pattern and colour provides a foundation for future iterations of packaging. 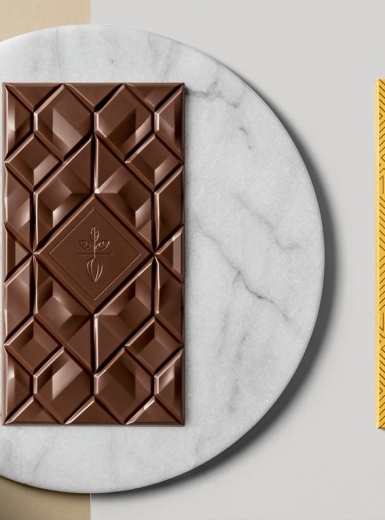 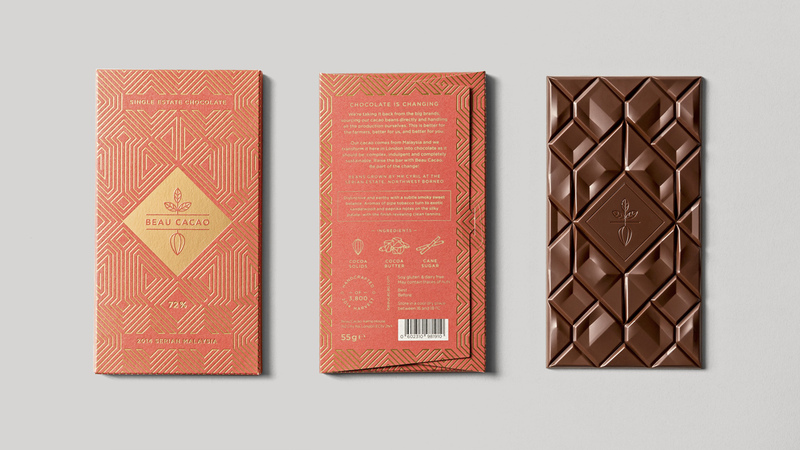 The beautiful chocolate bar has been designed by Adam Gill.